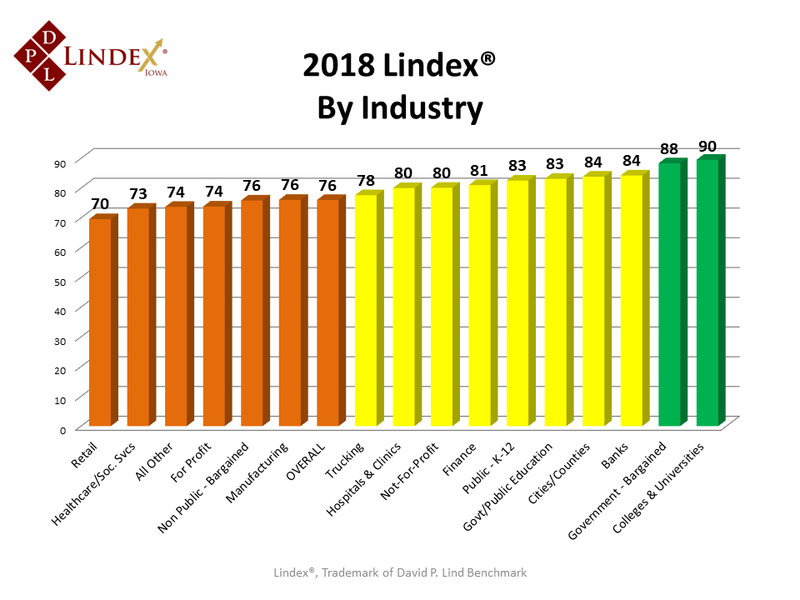 New 2018 Lindex® Scores Revealed! We’ve just released the new Lindex®scores based on our 2018 Iowa Employer Benefits Study©. Introduced in 2013, the Lindex is an innovative tool that allows Iowa employers to distill voluminous and complicated benefits data into one relevant number. Determine the competitiveness of their benefits package. Attract and retain a high-quality workforce. Decide whether benefit changes are required to keep your employee benefits competitive. 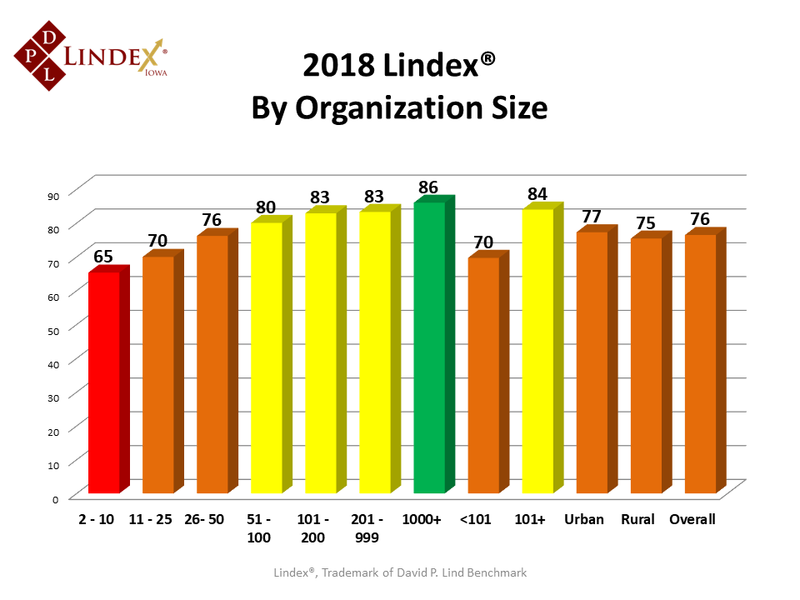 The Lindex is a composite score used as a reference when determining the quality of benefits offered by Iowa organizations. This index is the result of a sophisticated calculation based on the benefits data submitted by 1,001 Iowa organizations from the latest 2018 Iowa Employer Benefits Study©. Calculated once a year, the Lindex ranges from 0 to 100, with low scores reflecting fewer benefits offered at a higher cost to employees, while higher scores indicate more benefits being offered at a competitive cost. 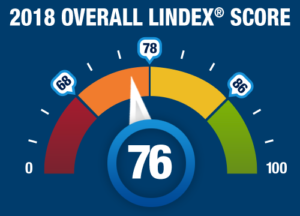 In 2018, the overall Lindex score for Iowa employers (regardless of employer size and industry) is 76. The overall Lindex score from two years ago was 74. A primary reason for the overall score jumping up two points from 2016 is a result of more small employers offering health and dental coverage. The Lindex score will vary based on the employer size and industry, which are two determining factors that affect employee benefits. For example, employers with fewer than 10 employees have a Lindex score of 65 (64 in 2016), while employers with 1,000+ employees averaged 86 (89 in 2016). 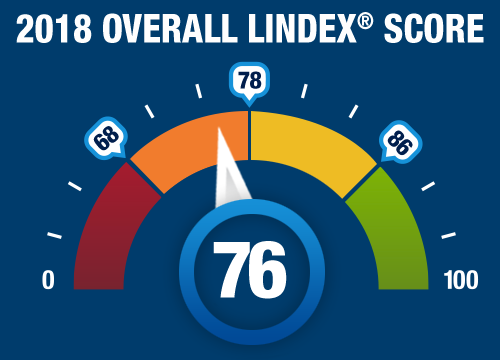 It’s important to note that an organization with a Lindex score of 62 might appear to be somewhat low when compared to the overall statewide score of 74, but if this score is above the average Lindex score for similar organizations based on size and industry, then it could be considered a competitive score for that organization. Our 2018 Iowa Employer Benefits Study© and/or benchmarking tool is now available for purchase. Should you wish to learn more about the Lindex, and how your organization can obtain your own Lindex score, please visit the Frequently Asked Questions (FAQ) section of our website.